Ethan Doyle White's personal blog - devoted to interdisciplinary scholarship on religion, magic, and the preternatural. This week here at Albion Calling I have the very great honour of presenting an interview with a man whose work has inspired both myself and many, many others; Professor Ronald Hutton of the University of Bristol in southwest England. One of Britain's foremost historians, his prodigious scholarly output has ranged from the tumultuous events of seventeenth-century England to the pre-Christian belief systems of the British Isles, and from Western understandings of Siberian "shamanisms" to the early history of the new religious movement commonly known as Wicca. The author of at least fifteen books and many other papers and book chapters, he has also found the time to present a number of documentaries and a recent television series on Britain's lesser-known museums, as well as serving a term as a Commissioner of English Heritage. In previous interviews conducted with Necropolis Now (here and here) he has discussed his research and relationship with the contemporary Pagan movement but here offers us a fascinating overview into his wider life and career. EDW: At times in pieces that you have written, especially one of the essays in Witches, Druids and King Arthur, you have referred briefly to your upbringing and its influence on your later work. Would you be prepared to enlarge on that subject here? RH: Yes. I was brought up by my mother, after my father died when I was a small child. She was a delightful and admirable person, of whom I was very fond, but also rather unworldly, and in increasingly fragile health. As a result, I spent most of my formative years trying to support and preserve her, a struggle which I finally lost as she died when I was a student. One of her most significant influences on me was that she was herself a Pagan, of a recognisable Victorian and Edwardian kind. She was deeply influenced by the Greek and Roman classics, regarded the Olympian deities as the natural divinities of the world, had a sense of a single archaic mother goddess as standing behind them, and felt an immanent divinity in nature. She never practised any acts of worship or other rites, and her attitudes were entirely literary; and indeed there was a large nineteenth- and early twentieth-century literature to support them. My affection for them, and for her, gave me a sympathy for Pagans of the mid and late twentieth century kind, such as Wiccans, when I encountered them from my teens onward. It also, of course, left me with a knowledge and affection for the Victorian and Edwardian literature which had inspired her. More generally, my relationship with my mother gave me a great liking for women and a preference for their company. It also left me without any of three great formative influences which defined the attitudes of my friends: Christianity, patriarchy and parent-child conflict. As a result I lack a lot of the instinctual assumptions and responses manifested by most of my generation, which has both advantages and disadvantages for a writer. EDW: Having obtained a BA and MA in History from Cambridge University’s Pembroke College and then a DPhil in the subject from Oxford University’s St John’s College, you went on to an Oxford fellowship at Magdalen College and then permanent employment at the University of Bristol in 1981, starting off as a Lecturer and subsequently working your way up to a Readership and finally a Professorship. Was the academy something that you had wanted to be a part of from youth, or was this desire only a later emergence? What, in particular, were the formative influences that led you in this particular direction? RH: I always wanted to get to university, because that was the gateway to a well-paid job, for somebody with no family contacts in any occupation. Cambridge was the best for somebody growing up, as I did, in the east of England. My father’s death and my mother’s ill health meant that money was tight, and so I had to work my way up through the state school system, step by step, eventually winning a scholarship to Cambridge when I was seventeen. I did not, however, imagine that an academic career would be a viable one for me, as posts in it were so few at that time and dependent on absolutely stellar university examination results. So I prepared for other professions, such as the Home Civil Service or journalism, until my actual undergraduate examination scores, to my surprise, began to put me within reach of the academic ladder. This really seemed an impossible dream come true: to be able to make a living out of what I genuinely best enjoyed doing, and had expected would remain a hobby. I have been very lucky. EDW: Growing up, you juggled the twin interests of history and archaeology, being a member of your local archaeological society, taking part in excavations at Pilsdon Pen, Ascott-under-Wychwood chambered tomb, and Hen Domen castle, and subsequently attending Glyn Daniel's archaeological lectures at Cambridge. Those familiar with your two books on the subject of pre-Christian belief systems in Britain, The Pagan Religions of the Ancient British Isles: Their Nature and Legacy (Blackwell, 1991) and Pagan Britain (Yale University Press, 2013), will be well aware that you still retain a very keen interest in developments within British archaeology, and are comfortable enough with the subject to publish works of an interdisciplinary character. What are your feelings regarding the relationship and co-operation between the two disciplines, with particular regard for the study of prehistoric and protohistoric religions? Atlantic Archipelago; copyright Blackwell and Yale University Press respectively. RH: I don’t think that anything that I have written has been genuinely interdisciplinary – I am very much a historian who uses archaeological data – and I do not know of any colleague who balances equally between archaeology and history in her or his work. There should in theory be at least a perfect complementarity between them, as history is essentially concerned with textual evidence and archaeology with material evidence. This means that prehistory is wholly dependent on archaeological material, and that in later historic periods the archaeology can be interpreted mostly in accordance with the written evidence. It is in the earlier historic periods that the material and the textual data need in theory to be brought together as a single body of evidence, but this is more awkward than may appear. The two disciplines have totally different personnel and cultural, practical and philosophical underpinnings: history is unequivocally an art and a craft, but archaeology is pulled between claims that it is also an art and counter-assertions that it is actually a social, or even a hard, science. The skills needed for each are different. In practice, historians rarely use archaeological evidence unless the material excavated is a text, while archaeologists in the past interpreted their finds too much in accordance with the assertions of ancient and medieval writers, and lately some have swung too much in the other direction, towards denying the relevance of written testimony at all. It is an uneasy relationship. EDW: Your early academic publications – The Royalist War Effort (Routledge, 1982), The Restoration (Clarendon, 1985), Charles the Second (Clarendon, 1989), and The British Republic (Palgrave Macmillan, 1990) – were devoted to Britain in the seventeenth century, looking at the Civil War, Cromwell's Commonwealth, and the subsequent Restoration of the monarchy. More recently you have published on the subject with Debates in Stuart History (Palgrave Macmillan, 2004) and A Brief History of Britain 1485–1660 (Robinson, 2011). What inspired this particular interest, and why did you pursue it through your MA and DPhil? Is it something that you intend to return to in future? RH: The English Civil War and the following English Revolution were very prominent in national memory in the years 1966-1973, when I was a teenager; perhaps because those were a period of intense cultural change, when basic questions of national identity were up for review as they had been (more violently) in the earlier period. There were lots of pop histories and novels, and two memorable films, produced about this bit of history during those years, and the first and largest historical re-enactment society in Britain, the Sealed Knot, was founded to celebrate it. I consumed them all once my interest had been activated by a school project and by realising how much the war and revolution ran through the stories of the historic monuments which I systematically visited during vacations. It became an abiding passion, and had I not become a historian I would probably have written a series of (not very good) historical novels about the Civil War period in my spare time. Instead I wrote my doctoral thesis and first book about it; which was exactly the right choice as it was a focus of intense interest among professional historians at that time, and so an excellent launch-pad for a career. I followed up this beginning with three more books, but was increasingly aware that I had always been interested in other areas of history as well, in which I might be more of a pioneer now that my career was securely established, and so I went into them instead. I still write about early modern Britain, as you have noted, and intend to return there in the next book after my current one, which will probably be a study of Oliver Cromwell. I have also stayed loyal to the Sealed Knot, and am now its Vice President for life, having worked my way up to that level from the ranks. EDW: From your studies on seventeenth-century history, you went on to focus on British folk festivals, resulting in the publication of The Rise and Fall of Merry England: The Ritual Year 1400–1700 (Oxford University Press, 1994) and The Stations of the Sun: A History of the Ritual Year in Britain (Oxford University Press, 1996), the latter of which has probably become one of the most important and oft-cited publications in British folkloristics, period. What was it that led to this avenue of your research and how did you feel about the intersection between history and folkloristics that it entailed? RH: An interest in folk culture, and especially in those aspects of it which allegedly descended from pre-Christian times, was one feature of the counter-culture which flourished in Britain around 1970, and of which I was a part: the folk club was often the local centre of that counter-culture. Such an interest united easily with my affection for ancient paganism, and when I was in my mid-teens I drafted the plan and filled in much of the material for a book on seasonal festivals, which almost twenty years later became The Stations of the Sun (as a teenager I also drafted a book on Neolithic tomb-shrines which provided some of the material for the one on ancient British paganism which I published in 1991). In the intervening period, scholarly folklorists almost completely changed their attitudes to the subject, from assuming that virtually all folk customs derived from pagan rites to realising that very few did; and my work reflected that shift and gave me more interesting work to do as a historian, in trying to work out how customs had actually developed and mutated. Folklore is, however, a different discipline from history, having more in common with the social sciences, and is in any case hardly represented in the British academic system. I don’t really think, therefore, that my work actually represented ‘an intersection between history and folkloristics’ so much as a historian using data partly generated by folklore studies. EDW: Although often eclipsed by your research and publications in other areas, your work on the shamanism(s) of Siberia is something that I have found to be particularly interesting, and given that it is your only work that isn't Britain-centred, it stands out as a somewhat unusual part of your oeuvre. 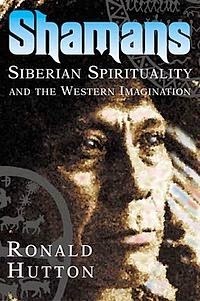 Your book Shamans: Siberian Spirituality and the Western Imagination (Hambledon and London, 2001) is an excellent introduction to the subject, and I am aware that you have previously published a popular guide on the subject, The Shamans of Siberia (Isle of Avalon Press, 1993). What is it about this particular part of the world and its magico-religious beliefs that fascinates you, and how did you go about researching a spirituality that is all the way on the other side of the Eurasian continent, in an incredibly culturally and linguistically diverse region? RH: The two publications that you mention are very different in kind. The ‘popular guide’ was a lecture that I gave at Glastonbury to raise money for an institution there, the leaders of which then asked to publish and sell it locally in order to raise more. It was never intended to attract serious scholarly attention; but the later book was, and remains an essential component of my evolving body of work. My willingness to write on the subject was propelled by two developments in the years around 1990. One was the growing interest in shamanism as a major aspect of British alternative forms of spirituality. The other, and more important, was Carlo Ginzburg’s promotion of a universal archaic shamanism as a key influence on early modern images of witchcraft. Both drew ultimately on a model of shamanism developed by Mircea Eliade in the mid twentieth century, which I found both inspiring and limiting, as I did the works which had embraced it. I believed that a tighter definition was needed to make sense of differing regional patterns in European folk beliefs concerning the supernatural, based on Siberia which was the region that had produced the term and concept of the shaman. For a British scholar I was unusually well equipped to suggest one, in that my mother had come from a Russian family, and her mother told me much about the Tsarist Russia of her own youth. This made Siberia quite familiar to me as Russia’s huge back garden, and my own travels in the USSR in the 1980s enabled me to study the relics of Siberian shamanism in museums and talk to old people who had experienced shamanic rites. My work on the subject therefore became a vital component of my slow accumulation of data and expertise for a major study of the folkloric roots of European witchcraft beliefs, which is currently coming to fruition. I can usually identify a moment when I decide to write a particular book, and that on shamanism, eventually published in 2001, was conceived in a rural pub, at Winchcombe, Gloucestershire, over a lunch of bread, cheese and farmhouse cider in August 1990. I was rereading Eliade, and suddenly realised that I could do something distinctive with the subject. 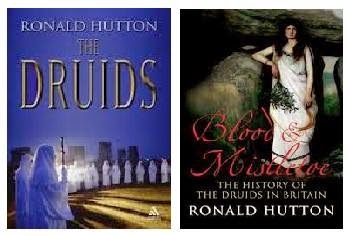 EDW: More recently, you have turned your attention to the thorny issue of the Druids with your books The Druids: A History (Hambledon Continuum, 2007) and Blood and Mistletoe: The History of the Druids in Britain (Yale University Press, 2009). However, rather than simply going over the little evidence that we do have for these magico-religious specialists of the Western European Iron Age, as many others have already done, you have provided an analysis of how they have actually been re-interpreted through history, from the Early Medieval to the 1990s. What drove you to investigate this particular subject and to author both an academically-oriented and popular-oriented book on the basis of your research? Copyright Hambledon Continuum and Yale UP respectively. RH: Once more a confluence of modern spirituality and scholarly trajectory inspired these books. Druidry had become a major component of British Paganism during the early 1990s, and I had been befriended by a number of leading Druids as a result of my publications; so it was enticing to write about their tradition. More important, to deal with Druids as an aspect of the British imagination since 1500 was a natural offshoot of my existing work on the modern reception of images and ideas gained from ancient paganism. It was an especially important, rich and extensive field, which plugged into all sorts of political, cultural and social issues in British history. Furthermore, I was aware by the opening of the 2000s of the damage that my association with the study of modern witchcraft had done to my academic career, and thought that my engagement with a different subject – though still related to the reception of ancient paganism – would reduce this association in the minds of professional colleagues; which it certainly did. My reason for publishing two books was that I wanted to see if instead – as had been my habit – of trying to fuse heavyweight scholarly research and popular appeal into the same book, I would split them between two different works. I don’t think that the tactic really worked, as the bigger and more scholarly one still stole the limelight from the other, so I abandoned it thereafter. EDW: What projects have you got on the horizon for which we should be keeping an eye out? RH: I have a big one on the go at present, funded by the Leverhulme Trust, of a comprehensive study of the concept of the witch, in a global, ancient and folkloric setting, to understand more fully the context of the early modern witch trials. This is of course inspired by the work of Continental historians and folklorists such as Carlo Ginzburg, Éva Pócs, Wolfgang Behringer and Gustav Henningsen, and as such is an approach which has been much less favoured by English-speaking counterparts. It will, however, inevitably have some differences from the work of these Continental colleagues, in making a more comprehensive survey of the evidence, emphasising regional differences much more heavily, and relying less on modern folklore collections to plug gaps in earlier evidence. I have six people on my team, the others consisting of a distinguished Classicist, Dr Genevieve Liveley, a medievalist, Dr Louise Wilson, and three research students, working respectively on Italy, male witches and the animal familiar. Together we should produce three books, mine being the largest and the broadest in its scope, and three doctoral theses with resulting spin-off publications, in three to four years. EDW: Much has been said about your relationship with contemporary Paganism, and in particular Wicca, although in contrast basically nothing has been commented on your dealings with other world religions. Given that you were born in India, I would be particularly interested to learn of your relationship with the religions of the subcontinent. RH: I don’t have much of a personal relationship with them, though I know them fairly well and have interacted with both at times, especially on my travels. I find Hinduism perfectly familiar and attractive as an eastern extension of ancient European paganism. Buddhism appeals to me rather less, as I am too fond of this world and life, but I admire the compassion which it encourages in some of its adherents. EDW: Are your relations with Christianity, Islam or Judaism more important? RH: Certainly they have impinged on me more often, both because my travels have taken in more countries where they are significant forces, and because of their impact on my own society. I know their core texts, especially those of Judaism and Christianity, and of course Christianity has been the dominant and defining faith of my own society. My relationship with all three might be described as one of benevolent detachment. In the case of Christianity, however, my attitudes take almost an opposite form to that propounded by most liberal humanists, which is to suggest that Jesus Christ was at the least a wonderful person and teacher, but that his message was distorted and deformed by established Churches. I remain deeply impressed by the achievements to which many Christians have been inspired by their religion, in art, architecture, literature and acts of courage and generosity, while finding its original texts completely unsympathetic and the figure of Jesus deeply unattractive. That is the reason why I could never be a Christian myself, and of course the influence of the religion is totally missing from my personal background. My affection and respect for many individual Christians, now and in the past, is therefore propelled by what they have managed to make of what seems to me such unpromising original material. I am perfectly aware that the same religion has also inspired people to appalling acts of atrocity, and that its basic claim to sole truth and goodness can been deeply problematic in a multi-cultural, multi-faith society. On the other hand, some of the finest Christian literature, art and architecture has been produced by societies which were also among the most murderously intolerant, so there is no straightforward opposition of good and evil in the story. I have little in common with people of any kind who instinctually view the cosmos as polarised between right and wrong beliefs, causes and groups, both in the past and in the present. The world seems to me always to have been a messier sort of place. EDW: Most recently you have been making regular appearances on British television, presenting the 12-episode series Curiosities (Yesterday, 2013), in which you visited various lesser known museums around Britain, as well as the documentary A Very British Witchcraft (Channel 4, 2013), which offered a biographical account of Gerald Gardner and the foundation of Gardnerian Wicca. Aside from these ventures, you also make semi-regular appearances in a wide array of documentaries, most recently Tudor Monastery Farm, and have become a familiar face on British television. How did you get involved in the world of TV and what do you see as the importance of such appearances for public outreach? RH: I have been making television appearances since the mid-1980s, and got essential broadcasting experience before then on radio stations, first local and then national, like a lot of academics who have become prominent in the media. During my teens I regularly acted on stage, and this gave me an ability to speak concisely and clearly and to be directed by others, both of which come in useful when broadcasting. Television companies and crews are very unstable units, and so a straightforward continuity of reputation was difficult to build for a part-time media person like myself. I could get a deluge of work for a few years and then little for a few after that, and often commissioning editors would want me to present a series but were unable to find a good enough proposal for one from a company. It has taken thirty years for me to become the ‘go-to’ historian on a range of subjects for most directors. I enjoy being interviewed, because I can give spontaneous answers and turn up on set for a few hours of work. Presenting is less fun, because I often have to speak scripted lines, and the amount of time that needs to be blocked out to film a one-hour documentary, let alone a series, cannot usually be taken off from my university duties. Television and radio, however, are marvellous ways of communicating history and prehistory to the general public, and especially the first: I reckon that two minutes of prime television time is worth an hour on radio or a weekly column in a newspaper. I also feel a debt to the mass media, in that my school, though it did have one very good history teacher, simply did not have the resources to train me for the broad approach to the past needed to pass the Cambridge entrance examination. I did that myself by reading popular history books borrowed from the public library, and by watching as much television history and prehistory as I could. Without those media I would have no academic career, and I feel obliged to give a lot back to them in gratitude. 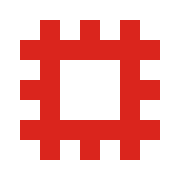 EDW: From October 2009 to September 2013, you served as a Commissioner of English Heritage. How did you find yourself in this prestigious role, and what did the position actually entail? RH: English Heritage is the public organisation, answerable to the central government, which protects the physical remains of the nation’s past, both by dealing with apparent threats to buildings and landscapes from neglect and development and by caring for over four hundred properties itself, including Stonehenge and the best bits of Hadrian’s Wall. The commission on which I served is the governing body of the whole thing, forming all policies for it and taking all major decisions, and I was the historian upon it for that term, being preceded by Sir David Cannadine. I applied because English Heritage itself invited me to do so, as a result of my combination of an academic profile with one in public service and the mass media. I was not the only person whom it approached, and other notable scholars applied independently, so the competition was serious. I think that I won the position when interviewed (by top civil servants and a leading archaeologist) because I had first-hand knowledge of all the properties which English Heritage manages. Again, my teenage activities were crucial here, because in my school holidays I had systematically visited all of them, and all those in Wales, when they were still directly run by the government. I had a wonderful time during my four-year term, not least because the quality of my fellow commissioners was so high, and their reputations and achievements in a range of national activities so much more impressive than mine. None the less, I pulled my weight, and was rapidly appointed to chair the Remuneration Committee of English Heritage, which discusses pay arrangements, and the Designation Review Committee, which advises the government in controversial cases where buildings or sites have either been granted or refused protection as historic. My period of service was an exceptionally difficult one for the whole organisation, because the government cut its funding so severely, as part of the emergency measures taken to combat the national economic crash, that it effectively ceased to be viable in its traditional form. We eventually agreed to propose its division into two halves, one to become financially self-supporting, which at time of writing is yet to be implemented. At the end of my service as a commissioner, I was immediately appointed to two new public positions, as chair of the Blue Plaques Panel, which decides which historic figures should be honoured with memorials placed on their former homes in London, and as an academic advisor to the Royal Armouries, the national museum of arms and armour from all ages. EDW: You’ve now been operating within the study of history for thirty-eight years, and that being the case, I'd be interested to hear your take on where the discipline is headed, particularly given the current cut-backs to higher education. More specifically, it would be good if you could articulate your views on where those areas in which you have taken a research interest – such as Pagan studies, the study of shamanism, and the study of witchcraft – are headed. RH: History itself is in a very strong position in the educational system of the United Kingdom, as it is so popular amongst school and university students. This is because many people find it fun in itself, as a huge number of allegedly true stories, and it also provides a very good general training, in taking a mass of evidence, basing a personal interpretation on that, and then seeking to persuade others of the viability of that viewpoint. This skill is essential to many different subsequent careers, which is why history graduates are rarely unemployed. The government tried till recently to restrict entry into history degrees, and force students into less popular and more directly vocational subjects, by funding the latter more generously. The current coalition has, however, completely deregulated university entry, now that applicants have to pay for their own degrees, and history departments are undergoing a considerable expansion in staff and students, including my own. It is a very good time at which to specialise in the subject. The other areas about which you asked are in very different positions, both from that of history in general and from each other. 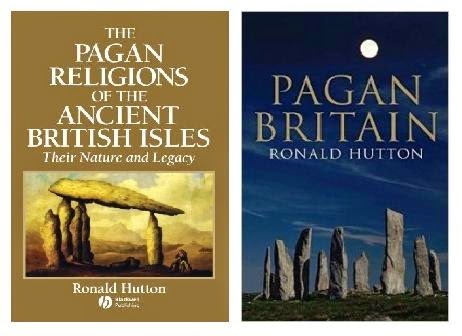 Pagan Studies have not established themselves as a sub discipline anywhere in the British academic system; the best that happens is that they are taught by a few individuals attached to some Religious Studies departments. More generally, to be a Pagan in contemporary Britain is not too dissimilar from being a Baptist or Quaker in eighteenth-century Britain: it is now possible to be known as one without fear of losing your job, having your home attacked or having your children taken away, but such a religious allegiance can still be enough to stop those who profess it from being taken seriously as candidates for responsible and powerful positions. Shamanism, by contrast, is a huge growth area for research in many disciplines, and is in danger of being used as a catch-all category and mechanism for explanation in large areas of history, prehistory and archaeology. The early modern witch trials, and the beliefs that generated them, are now a heavily populated and totally respectable subject for research among professional historians, and the study of witchcraft and magic in the ancient and medieval worlds is expanding rapidly. That of the same subjects in the modern Western world, by contrast, has hardly commenced, and is tainted by the general public prejudice against practitioners. We still have a long way to go in order to build a genuinely tolerant, liberal and multi-faith society, based on individual choice, in our nation at least, Ethan. Your blog may be doing something valuable to further that cause. EDW: Thank you so much for talking with me here today, Professor Hutton; I wish you all the very best in future. Bravo! Another great interview. Especially interesting and encouraging that Hutton says that Shamanism is a huge growth area for rsearch in many disciplines. (Seeing as how I'm presenting at a conference on Greek Shamanism Reconsidered in January 2015...). Wonderful interview, and it reveals a fascinatingly different side of Hutton. Thank you so much. My pleasure Lisa; and thank you for your comment! Great interview, thank you both. Great interview! I'm already looking forward to Hutton's new work on witchcraft. Yes, me too. Sounds interesting, especially as 7 people including Hutton are working on it. Hope we'll see something soon. That was wonderful. Great interview! Is Benwell Roman Fort on Hadrian’s Wall Worth a Visit?